Halls of History—The woman belongs in the home…. When I was young and living with my wise old grandmother in Kingsville, Texas, I looked forward to the days when the Fall and Spring catalogs arrived from Sears. We also received the Montgomery Ward catalogs, but there was nothing like the catalogs from Sears. Dreamland…. Of course, catalog offerings changed over the years, and it wasn’t until a couple of weeks ago that I discovered kit houses, a common name for the Sears catalog homes sold as Sears Modern Homes. Sears reported that more than 70,000 kit homes were sold in North America between 1908 and 1940. More than 370 different home designs in various architectural styles and sizes were offered. Sears Modern Homes offered the latest and greatest technology available to home buyers in the early 20th Century, including electricity, indoor plumbing, and central heating. Eventually, asphalt shingles and drywall (instead of the messy lathe and plaster) were offered. Kits were usually shipped by railroad and included most of the materials needed to build the house. Perhaps this is where the great Christmas adage—Some assembly required.—came from…. A few years after Sears quit selling kit homes, all sales records were destroyed in a corporate house cleaning. Sad. Since many of these kit homes were not documented when they were built, finding them today usually requires detailed research for correct identification, especially since there were competitors: Aladdin (which offered the first mail order kit homes in 1906), Bennett, Gordon-Van Tine, Harris Brothers, Lewis, Pacific Ready Cut Homes, Sterling, and Wardway Homes. Sears issued its first specialty catalog for houses in 1908, Book of Modern Homes and Building Plans. 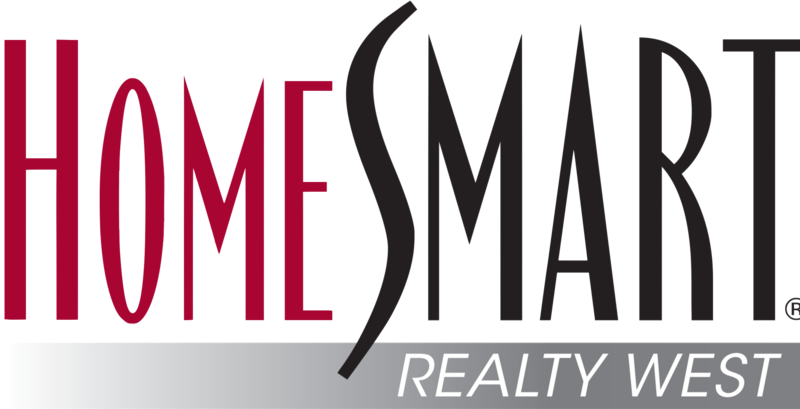 It featured 44 house styles costing $360 to $2,890. Sales grew, and Sears expanded production, shipping, and sales offices to sites throughout the United States. In order to meet demand and lower costs, Sears purchased lumber mills in Cairo, Illinois, and Port Newark, New Jersey, as well as the Norwood Sash and Door Company in Norwood, Ohio. Sears first offered precut and fitted lumber, pioneered by Aladdin, in 1916. Prior to 1916, the Sears-supplied lumber had to be cut on site to appropriate lengths. The pre-1916 houses are considered “catalog houses” but are not not considered to be kit houses. A Sears Modern Home kit could have 25 tons of materials and over 30,000 parts. Yep. Some assembly required…. Sears started offering financing in 1912, with early loans for 5-15 years at 5-6 percent interest. Sales peaked in 1929, being hit hard by the Great Depression, which led to payment defaults and strain on the catalog house program. Sears even stopped selling homes for a short time in 1934 and, after liquidating $11 million in defaulted debt, quit financing altogether by 1934. The home at 4921 Voltaire Street was built by William Feigley, recently arrived from Kansas. The city has dubbed it the William and Ona Feigley Spec House #1. Sadly, the life of the Feigley House appears to be coming to an end. It has been vacant for years after having been gutted in the 1980s to convert it to a doctor’s office. The doctor left in 1989, and records of its use since then are spotty. 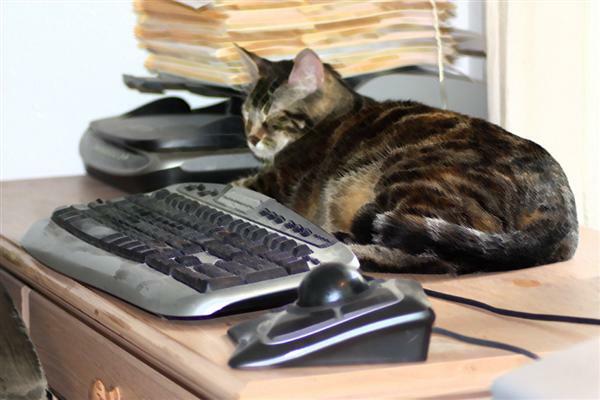 There have been lots of complaints about squatters and trash, though. The new owners of the property want to tear down the Feigley House and build a two-story building with commercial space on the ground floor and two apartments on the upper floor, and a rooftop deck so they can see the ocean. 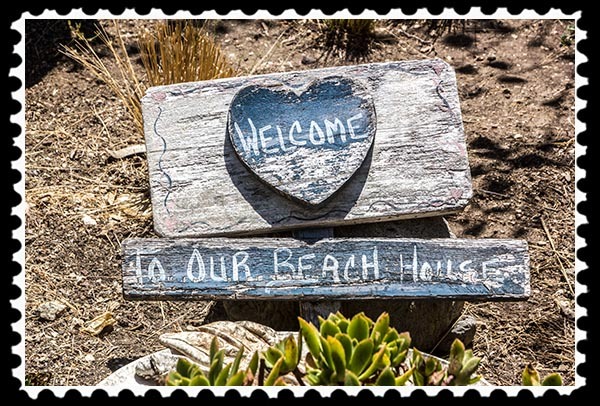 The Ocean Beach Planning Board gave near-unanimous approval after the original design was altered to present a more Craftsman look. It appears that a portion of the front entrance might be retained and incorporated into the new building. 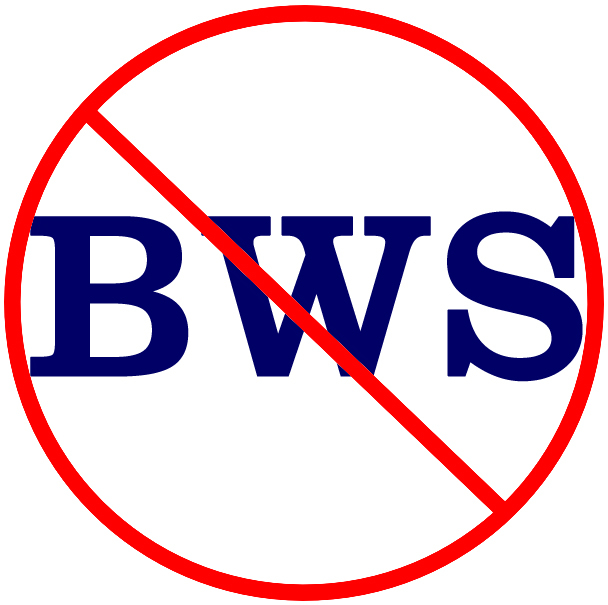 However…. Neighbors seem to agree with Moomjian, which isn’t really surprising considering the condition of the house. Which would you rather live next door to, a brand new building or a decrepit old buildng? The Feigley House’s status as a Sears home is not 100% certain, though, which possibly caused only three Board members to vote for historic designation, short of the required six votes. Personally I find kit homes to be intriguing, interesting, and important. Ah, yes, the woman belongs in the home…. This entry was posted in Architecture, Halls of History, History, House & Home, Photos and tagged kit homes, sears modern homes on November 11, 2017 by Russel Ray Photos. When I was delivering packages for Amazon Prime Now at this time last year, one of my goals was to find interesting places, nooks and crannies, that I probably wouldn’t find on my own. One such place I found was 1802 Puterbaugh Street in Mission Hills. 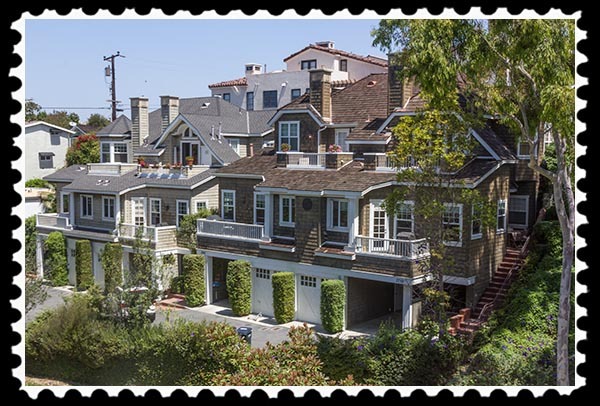 It sits on a large lot on a high hill with a beautiful view of downtown San Diego. According to public records, the house was built in 1911 and has 2,088 square feet with 4 bedrooms and 1½ bathrooms. It also has a 2-car garage, something that may or may not be original to the property. Mission Hills in 1911 was an upscale, affluent neighborhood. It still is. Many of the people who lived in Mission Hills in 1911 could afford cars, and in today’s world their cars typically are top-of-the-line BMW’s, Mercedes-Benzes, and similar luxury cars. Since it was dark when I made my delivery, I noted the address and went back a few weeks later during daylight to get some pictures. I thought the home might be a historical landmark but I haven’t found it on any lists so far. 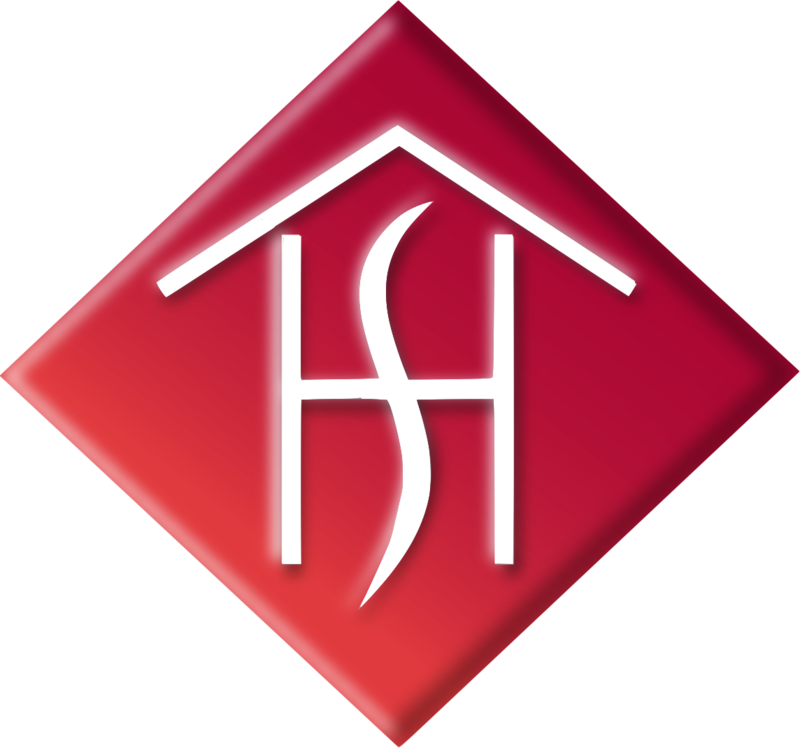 The home last sold on September 7, 2010, for $650,000 to a man and woman with different last names. I mention that because on September 1, 2015, the man relinquished to the woman his interest in the property via a Quit Claim Deed. In other words, he simply gave her his share of the property, no questions asked. Sounds like a parting of the ways. 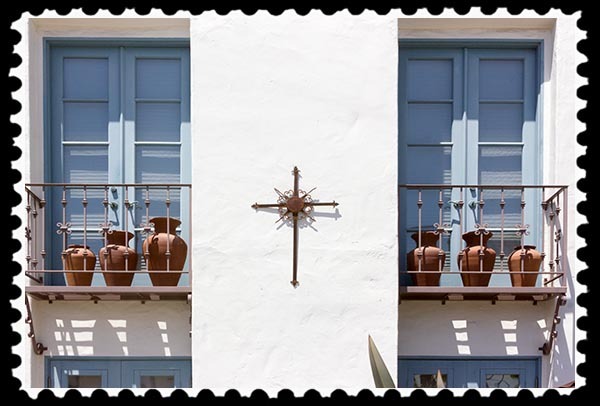 This entry was posted in Architecture, Halls of History, History, House & Home, Out & About and tagged 1802 puterbaugh street, california, Mission Hills, real estate, San Diego on February 22, 2017 by Russel Ray Photos. This junk is for sale! Yesterday’s Treasures specialized in finding unique junk and antiques, fixing them up, and selling them, usually to specialized antique places in New Orleans, Baton Rouge, Beaumont, Houston, Victoria, and Corpus Christi. Thad was from Corpus Christi and had the “unique junk and antique” knowledge. I was the man with the money. We complemented each other very well. This morning I went driving up Pacific Coast Highway (Highway 101), stopping here and there to take pictures, which resulted in 259 pictures and 2 videos during a 6-hour drive. 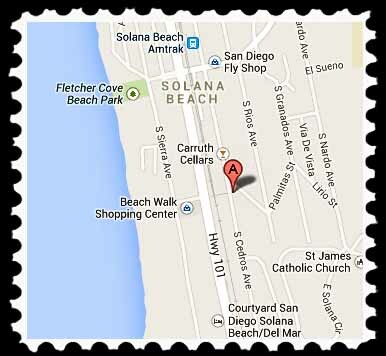 One of the places I visited was the Cedros Avenue Design District in Solana Beach. It’s only three blocks long but definitely one of my favorite areas. 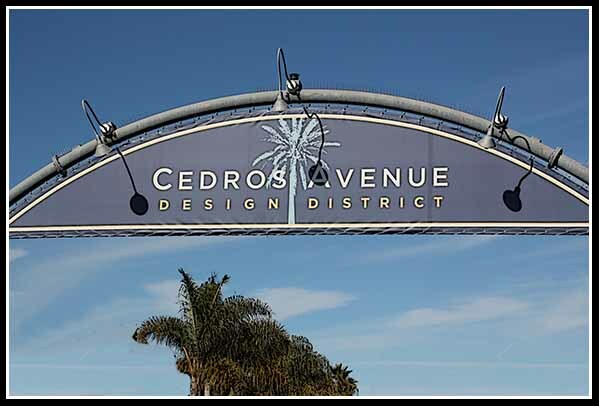 I could not determine the actual name of the business, and the Cedros Avenue Design District web site is all messed up right now. 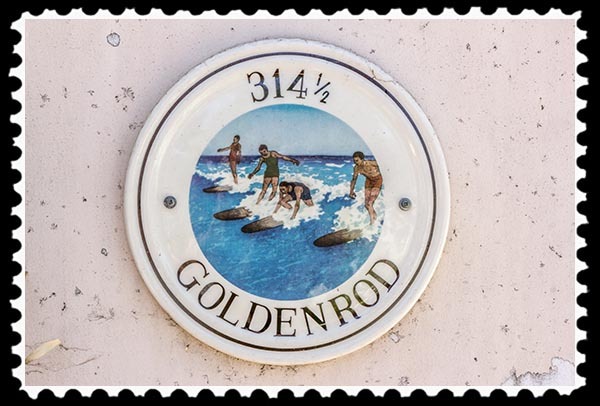 This entry was posted in History, House & Home, Manmade, Out & About, Photos, Picture of the Moment and tagged cedros avenue design district solana beach california, yesterday's treasures on June 20, 2015 by Russel Ray Photos. When I visited La Quinta back on August 12, it was my first time. I drove down two main thoroughfares for many miles, and all I saw were golf resorts, condominium resorts, and monster homes behind huge fences and gates. They also had the most beautiful and immaculately maintained medians and road sides. I would not mind being a homeless person over there, although come to think of it, I didn’t see a single homeless person on a street corner asking for food and money. Hmmm. Maybe being homeless is against the city code…. Suffering from Bare Wall Syndrome? 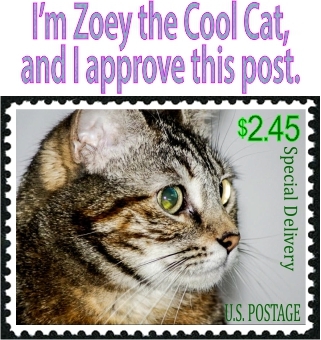 Need a unique gift? 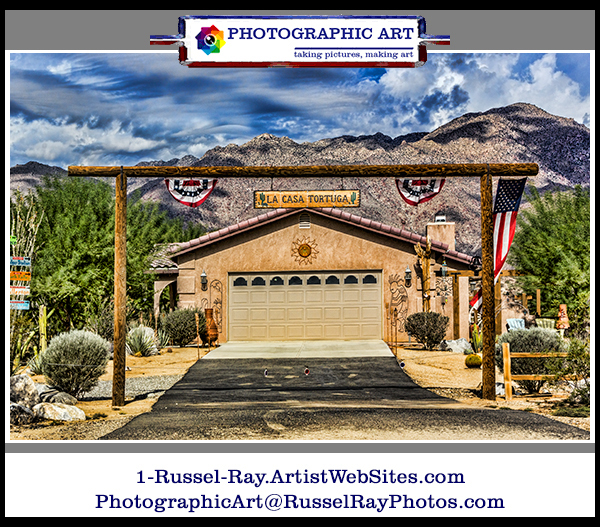 This entry was posted in Digital photo editing, Fauna, House & Home, Manmade, Out & About, Photographic Art, Photographic Art @ Fine Art America, Photos, Picture of the Moment and tagged beautiful gates, la quinta california on September 29, 2014 by Russel Ray Photos. 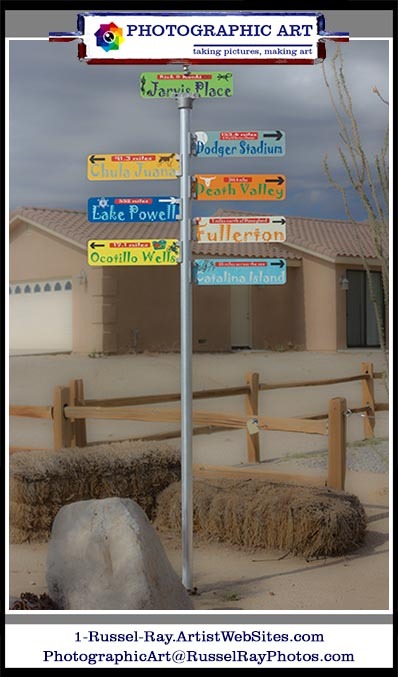 Homes in the Southern California high desert are a little different from normal rural or urban homes. 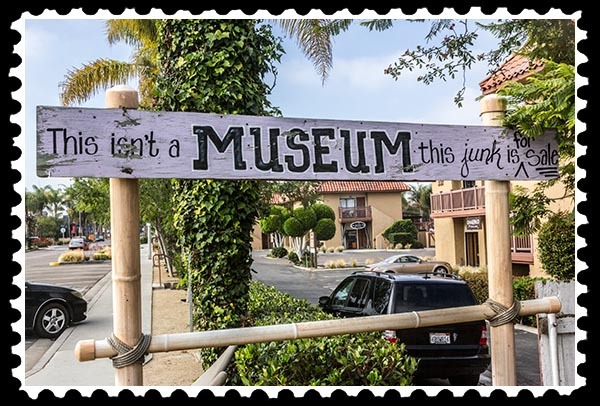 I would expect them to have desert tortoise garden art since the desert tortoise lives in the high desert. However, that looks like a Galapagos Tortoise to me, although I’m no biology expert on garden art…. 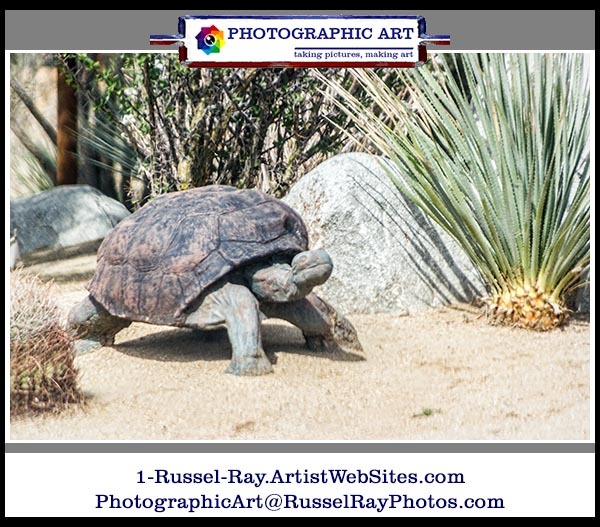 This entry was posted in Digital photo editing, Fauna, House & Home, Manmade, Mother & Father Nature, Nature, Out & About, Photographic Art, Photographic Art @ Fine Art America, Photos and tagged borrego springs california, galapagos tortoise, la casa tortuga borrego springs california on September 10, 2014 by Russel Ray Photos. 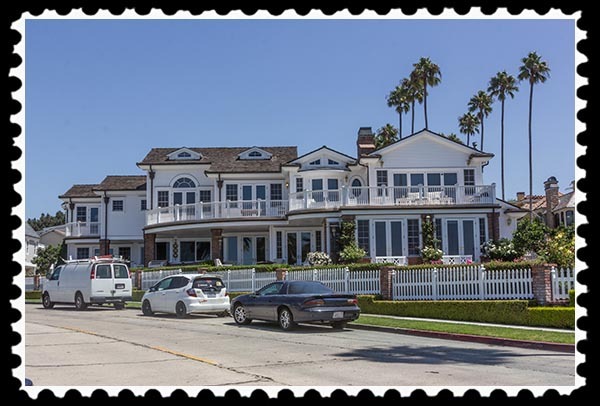 It’s no secret to Southern Californians that Newport Beach—all of Orange County, really—is an enclave of fairly wealthy people. That fact seems ironic considering that Orange County filed for bankruptcy in 1994, taking two years to get its affairs back in order. 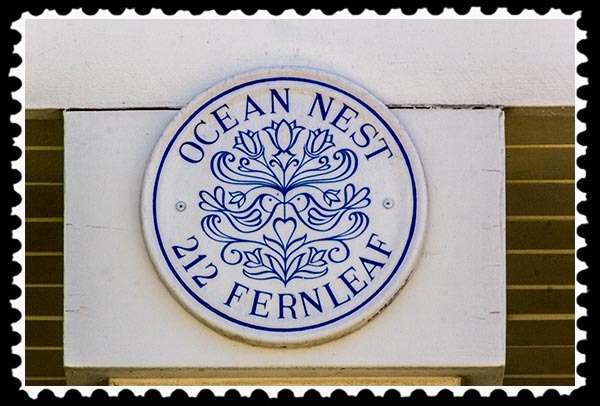 Nonetheless, all one has to do is walk through some Newport Beach neighborhoods to see that it’s not your average city. 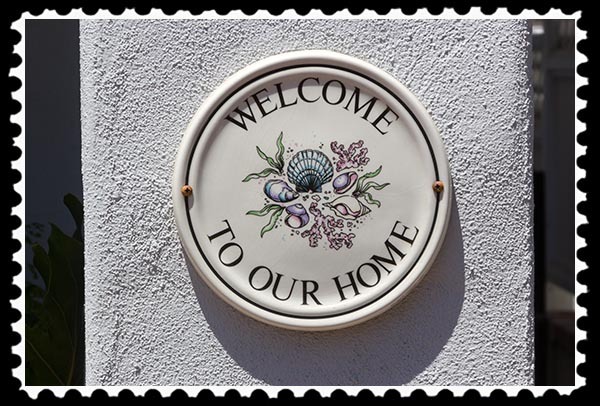 Along with many large, magnificent, and beautiful homes…. 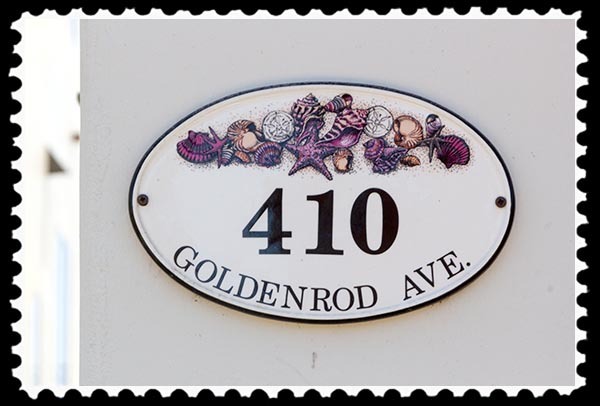 Once they finish the beautiful address markers, many include extra decorative ornamentation…. 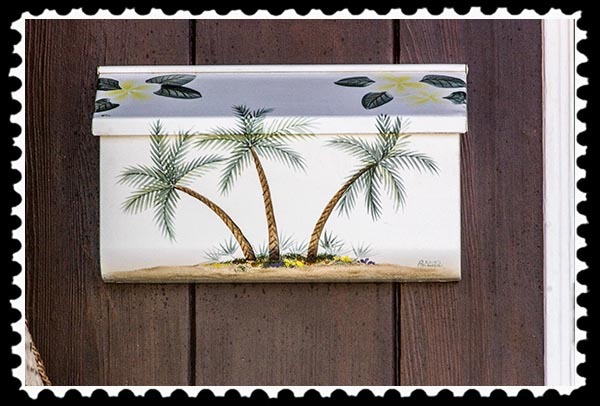 Some of them even decorate their mailboxes. 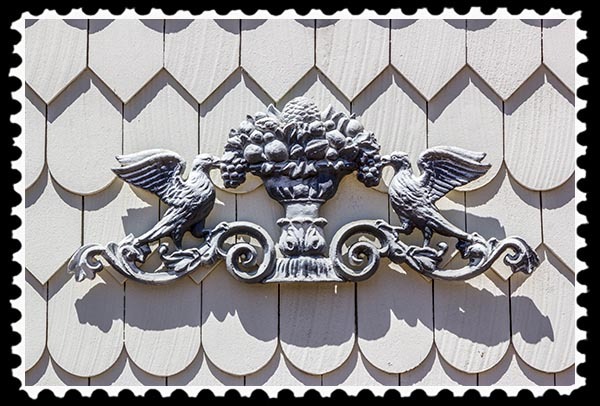 Don’t want any ugly black or gray things hanging on fences or walls. 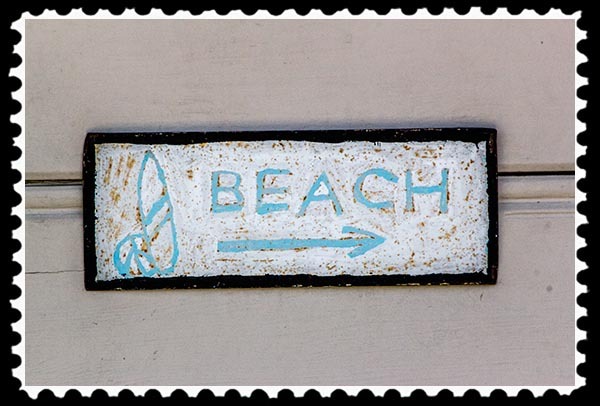 At first I thought it was a beach hotel since the beach is pretty much where I was standing to take the picture. However, I walked around it several times and came to the conclusion that it was, indeed, a single family home. Need a unique gift? 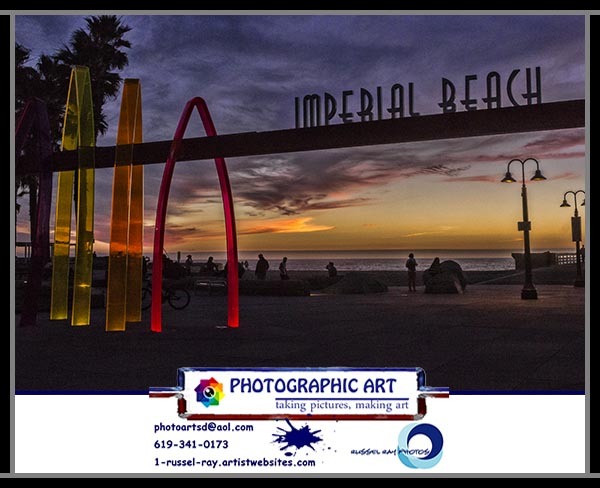 Choose Photographic Art! 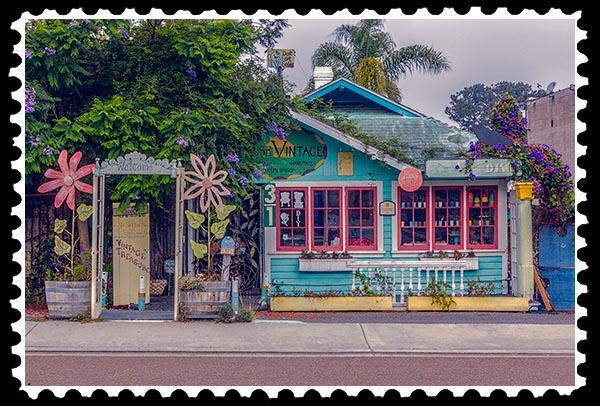 Visit Photographic Art at Fine Art America. 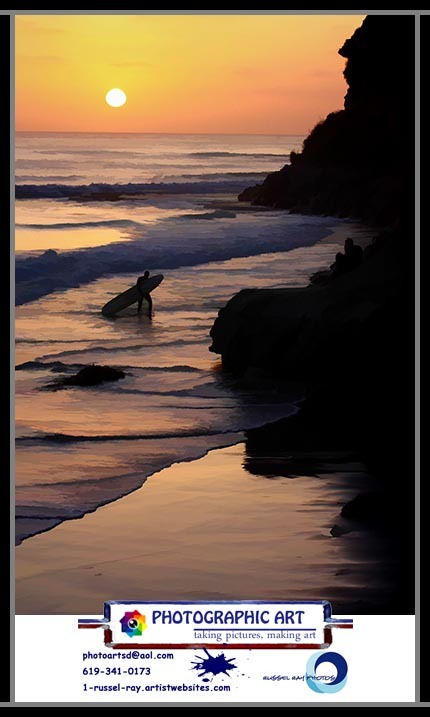 This entry was posted in House & Home, Manmade, Out & About, Photographic Art, Photographic Art @ Fine Art America, Photos and tagged newport beach california, orange county california on August 28, 2014 by Russel Ray Photos. 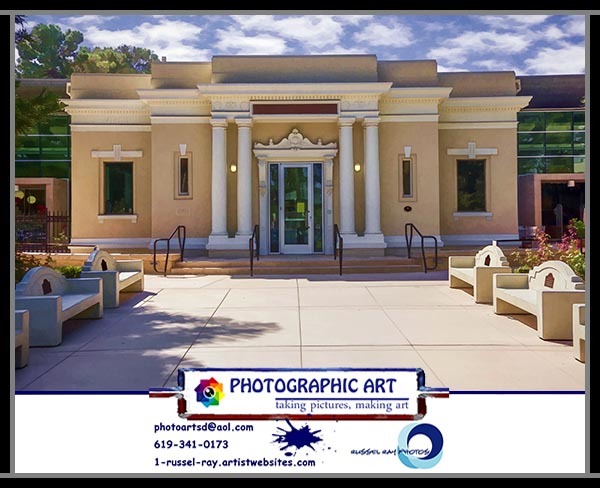 Because I have been in real estate for 48 years, I have a natural, built-in, defined market for my Photographic Art since real estate, both residential and commercial, is where most people would hang it. So No Bare Wall Symdrome! Now all I have to do is fill my Fine Art America galleries with billions and billions and billions of beautiful Photographic Art and then find billions and billions and billions of people living in real estate who might have some disposable income to spend on, uh, me! Fine Art America has a 30-day money-back satisfaction guarantee, so if you have BWS and would like to get rid of it, check out my Fine Art America galleries. for a 20% discount. The discount is good only on my markup on my Photographic Art, not on anything else you might buy from Fine Art America, such as frames, matting, etc. 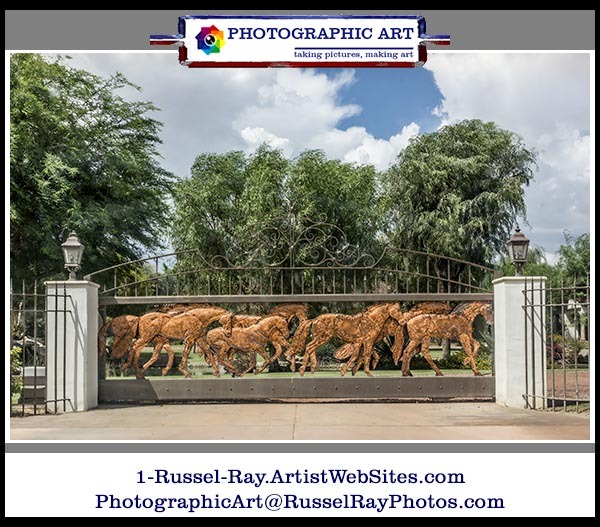 This entry was posted in House & Home, Photographic Art, Photographic Art @ Fine Art America, Photos and tagged bare wall syndrome, photographic art by russel ray photos at fine art america on July 30, 2014 by Russel Ray Photos.